Discussion in 'Team Fortress 2 Talk' started by tf2.com, Jan 27, 2012. 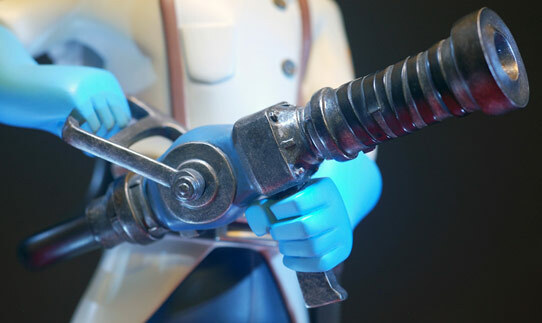 The next release in the Gaming Heads TF2 12 inch statue line, the Medic, will be available for pre-order on Tuesday, January 31st via the Gaming Heads website. Nice, but the site's dead atm. probably the huge amount of tf2 players who just got the news all piling into the site at the same time. I want it so badly, but I doubt I have that sort of money laying about. I would buy a Spy statue for my desk. That is a spy statue, they're just telling you its a medic statue. That'd be really hard to do with high-quality, though molded plastic might work. I was thinking of actual glass... it's not something that people would be throwing around anyway so there shouldn't be a problem with shattering. I like the translucent idea, but it wouldn't look right in the whole collection. I want to buy eight red statues and a blu spy statue, disguised as whatever class i havent got. How about the bottom half translucent, while the top half is painted with a fade? It'd give a neat effect. Who said that those people had to make it? For each character they've done, they've taken the biggest element of each and used that as the base. 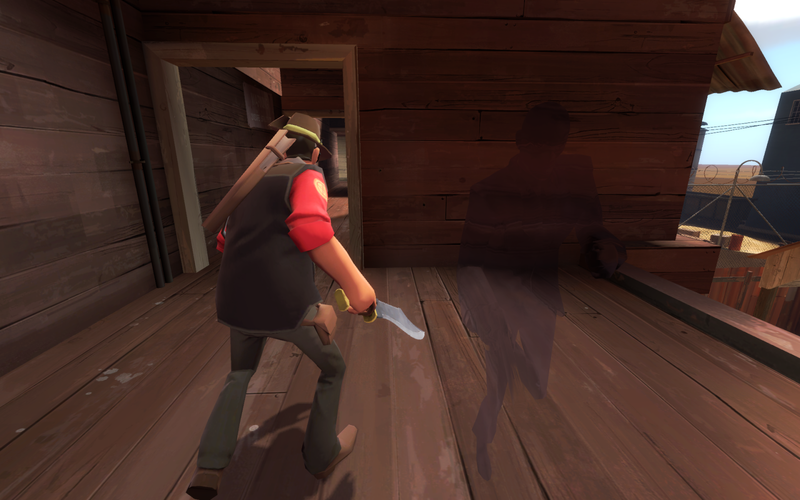 I was simply doing the same for the spy! I'm a bit disappointed in the medic's pose. I was hoping for something I could stick near the Heavy like he was healing him or something. Still a pretty nice statue. I preordered one.